1) Corporate video is best suited to B2B marketing as it focusses more on the business/its ethics/values etc rather than product focussed. 2) Can take on many forms: documentary, policies, messages for staff, pitch to prospective investors etc. for various different stakeholders – its flexible. For more information, read this article: Promo vs Corporate Video Content. 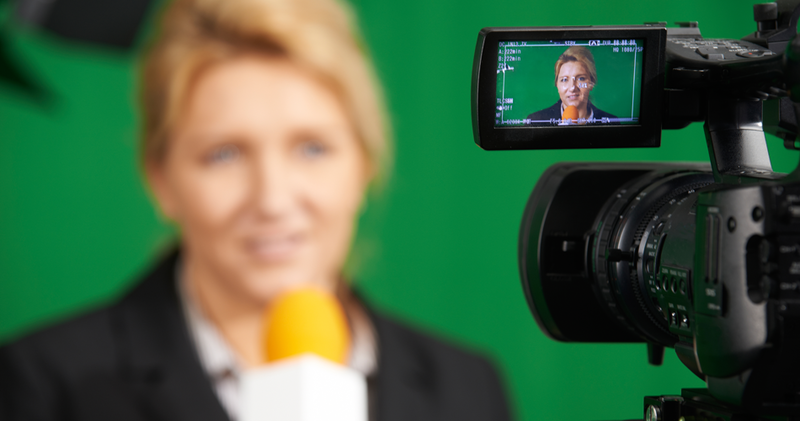 Why do you need Corporate Video in your Marketing Strategy? Video in general is an efficient form of content if you want to stand out from your competition and make your key messages memorable – important if you want to pitch your products and ideas to other companies. Corporate video does just that and much, much more… but who is watching? How do Corporate Videos help Solve Marketing Problems? Particularly common with start-ups, many businesses struggle to establish and build a reputation within their target market, particularly in saturated markets. If your brand is fairly unknown, you will have trouble drawing in sales leads. Brand awareness and brand reputation are two important factors when it comes to your audience picking you out from the competition. Corporate videos give a face to your business, something that helps the viewer to relate to your content, brand and your message. Having the CEO or head of the company lead the video gives a sense of relatability which builds a good rapport with your audience. By focussing on the ethics, values and the business itself, corporate videos are a great way to help establish a good reputation within the target market for start-ups and act as a valuable PR tool in general. Use them to show your stakeholders that the way you do business is different from the competition, and that you have authority within your industry – it’ll make you more trustworthy and attractive to potential customers. If you’re not getting the website traffic, you’re probably not getting your sales. This indicates ineffective marketing and ultimately, a waste of resources. You need a cost-effective solution which will encourage potential buyers to check you out and purchase from you. Sales leads are one of the ultimate goals for marketers and video has proved to be an effective asset in making this happen. This is partly the reason why just over 73% of B2B marketers say online videos positively affects their marketing ROI. Corporate video content has the ability to show off your offerings to your audience in a way which increases their understanding of it. They can re-watch it as many times as they like; you can show off features of your product which are difficult to explain through text; or simple give the audience a reason to buy from you and not your competition. Here’s an interesting fact: 65% of executives visit a website and 39% call the business after viewing a video according to Forbes. Traffic to your website means very little if your bounce rates are high, and your conversions are low. You need targeted and effective content to drive the right people to your website to make a purchase… or else, what’s the point? Using a corporate video – or any type of video – tends to be your best bet purely because you can squeeze in more information to really convey your key messages. Marketers who use video grow revenue 49% faster than buisnesses that didnt include video in their marketing strategy (VidYard).The added bonus of corporate content specifically is that your audience will naturally relate more to your brand and your ethics rather than solely your offering. This can ultimate build a loyal following and increase your influence in your industry. A problem most of you will be familiar with, establishing a competitive advantage in a saturated market is easier said than done. However, that competitive advantage is vital if you want to survive. So what’s the best way to differentiate yourself from other brands easily? Video content which delves deeper than just your products and services is a sure-fire way to give your brand the edge it needs to win over your target audience. People are more conscious of the way businesses do things, not just what they sell, and corporate videos relay this quickly and effectively. Are you committed to reducing your waste? Do you donate a portion of your profits to charity? This is something which will grab the attention of your stakeholders – both internal and external – and needs to be shouted out! They are also a platform to show how your offerings meet the customers need better than rival products. They are a great way to make you stand out from the crowd and work 24/7 to increase your brand awareness – a worthy investment. Corporate video production is one of our most popular types of marketing video. A professional online video production company will always align your corporate video with your marketing objectives and your customer’s journey – a guaranteed formula for a video that gets results. You can view that rest of our corporate video portfolio, here.